THE PUBLICATION OF the Heads of the Protection of Life During Pregnancy Bill 2013 is a first step towards legislating for Article 40.3.3 of the Constitution, thirty years following its insertion. At first glance, the Heads are to be cautiously welcomed: in one sense, it achieves what was required and finally gives some level of clarity to doctors and women on the circumstances in which a termination of pregnancy is permissible in Ireland. However, the ambit of the Heads of Bill are narrow, focusing only on the Supreme Court decision in X, not addressing situations of inevitable miscarriage or foetuses with fatal abnormalities. Heads of Bills are, of course, simply a draft outline of the proposed legislation: we would argue that the Heads should be considered a work in progress, and attention paid to some of the significant issues with its contents and the gaps left in it. Before examining the Heads in detail, it is worth commenting briefly on the inclusion of the ‘suicide risk’ in the legislation. While some people have suggested that there is no need to legislate for the suicide risk, or that, as the decision in the X case was wrongly decided, we should not legislate for this risk, this is a misunderstanding of the legal situation. 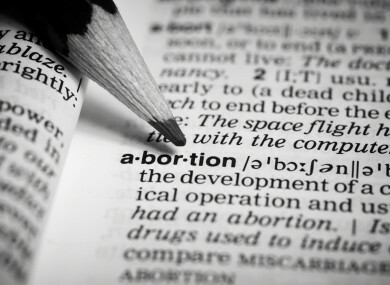 It is important to note that the European Court of Human Rights did not require a change of the law on abortion in Ireland, rather, it placed an obligation on the State to give effect to the existing law, that is, Art 40.3.3 as interpreted in the X Case. In order to exclude the risk of suicide from the legislation a referendum would be required to amend Article 40.3.3. As this issue is debated in the media and in the Oireachtas over the coming days and weeks it should be remembered that any legislation which fails to include the risk of suicide in the absence of a referendum, would not respect the constitutional position or be in compliance with the A, B and C judgment. Alongside the recent case involving Savita Halappanavar, there have been two key issues raised in Irish law which have not been addressed in the legislation. The first important consideration for many members of the public is whether this legislation would help a woman who found themselves in circumstances similar to those in the Savita Halappanavar case. The reality is that this legislation was designed to deal with the narrow decision in the X case and so does not deal with inevitable miscarriages. It is accepted that the greater clarity for doctors in the legislation, particularly the clear decision making framework and appeals process set out mean that doctors may now act with more confidence in these circumstances. It could be argued that, had the legislation been passed one year ago or even 21 years ago, Savita’s request for a termination would have triggered a procedure, including an appeals procedures, whereby two medical practitioners would have assessed whether a real and substantial risk to her life existed. However, the fact that the legislation does not specifically provide that a termination of pregnancy is permissible in cases of inevitable miscarriage means that the decision made in Savita’s case could well be made again today: that the risk that was presented to her was not a ‘real and substantial one’. Secondly, this bill is designed to set out the current state of the law as found in Article 40.3.3 and interpreted by the Supreme Court in the X case. It does not deal directly with the case of women of find themselves to be carrying a foetus which is incompatible with life. The Irish Government itself argued before the European Court of Human Rights that there was a tenable argument that such a foetus is not protected by Article 40.3.3, and thus that abortion could be considered lawful in these circumstances. While, of course, there is nothing in this legislation that prevents the Courts interpreting Article 40.3.3 in the manner in which the Irish Government suggested, it is lamentable that women in these heartbreaking circumstances have not been provided for in the Heads of the Bill. Apart from the X case, there have been two other important cases concerning abortion in Ireland, both of which involved young women: the ‘C case’ and the ‘Miss D’ case. The Heads of the Bill define ‘woman’ as ‘a female person’ and, as such, they do not resolve the issues which remain following those cases as to what role the HSE has in facilitating travel for a termination of pregnancy which does not fall within the terms of the X case: can the HSE prevent a young woman travelling? Further, there is no clarity on what obligation a doctor would have to inform the parents of a young woman who is not in the care of the HSE that she is seeking to terminate her pregnancy. While this gap in the law may be considered a positive aspect of the legislation, giving as it does discretion to doctors to determine what to do on a case-by-case basis, it will doubtless pose problems to medical practitioners in the future and perhaps be the basis of yet another High Court application. In conclusion, while the Heads of the Protection of Life During Pregnancy Bill 2013 is an important step towards clarifying the right to life of pregnant women in Ireland, there are still some important issues which need to be clarified before this Bill passes through the Oireachtas. We would call on the Government and all members of the Oireachtas to consider these carefully before passing this Bill. After all, it could be 21 years before we have another chance to get this right. Jennifer Schweppe is a lecturer in Constitutional law at the University of Limerick, editor of ‘The Unborn Child, Article 40.3.3° and Abortion in Ireland: 25 Years of Protection?’ (The Liffey Press, 2008) and author of numerous academic articles on abortion law in Ireland. She contributed to the Oireachtas hearings on drafting Protection of Life During Pregnancy Bill in January. Dr Eimear Spain is a lecturer in law at the University of Limerick, with a research interest in end of life decisions. Email “Analysis: Draft abortion law has gaps which require clarification ”. Feedback on “Analysis: Draft abortion law has gaps which require clarification ”.